Among typical childcare jobs in Qatar (Babysitter, Governess, Nanny, Au pair), Babysitting and Au pair are the most popular. The au pair is the most popular childcare job for newcomers in Qatar, because they need a place to stay at their arrival. Babysitting is popular among foreigners who already live in Qatar and have their own home. Babysitter or nanny is responsible for taking care of the child or children while parents are away from home. Sometimes nanny jobs or au pair jobs involve assisting parents in taking care of their kids while they are home. Other early childhood professionals in Qatar are: teachers or teachers’ assistants, daycare workers, educational professionals, early childhood consultants, tutors and coaches. As parents have to work or want to go out and enjoy dinner, they need someone to take care of their children. They are willing to spend part of their income on the employment of a full-time or part-time babysitter. Finding a good babysitter is not easy. People usually want to hire a babysitter in their neighborhood or community, but if there are no available babysitters, they are looking for an after-school programs, daycare centers services or a group that provides childcare. Simply, the main duties of a babysitter or nanny are taking care, managing and mentoring a child or multiple children – bath the children and dress them up, taking children to school and back, playing games, taking walks, doing puzzles, supervising homework, baking cookies, preparing simple meals for children and reading bedtime stories. Additional duties sometimes include – other outdoor activities, playing a variety of instruments, transport children to lessons, medical appointments, casting calls, and sets, pickups and drop-offs from activities, tutoring, light house cleaning, etc. Depending on the agreement between babysitter and particular family, babysitter might need to get involved in performing some additional tasks. Photo by Olivia Chow CCBY 2.0. Babysitter’s experience is not limited to sitter jobs or nanny jobs, it also includes jobs of camp counselor, preschool and school teacher, child care assistant in hotels, restaurants and wellness centers, etc. Experienced nannies or babysitters in Qatar are expected to work with children of all ages, from newborns (0-3months) to babies (3-12 months), toddles (1-3 years), preschool children (3-5 years) and school-age children. It is important for sitter to be comfortable with all kinds of children. There are also nannies specialized in taking care of children with special needs. Babysitters and nannies find their job (taking care of children) fun because they can act like kids and play fun activities with the children. They say that taking care of kids can be frustrating if they have children that cry or whine, so it is important for them to respond calmly to these and other difficult situations. Registration or licensing for a job of babysitter or nanny is not required in Qatar, there are not any education requirements for entry-level positions. However, if you have completed some of the available nanny / babysitting international courses, or have early childhood education credential, you may be qualified for higher level positions and there is a better chance to get a job of sitter easier or to work for a higher wage per hour. International courses for nannies and babysitters (Level 1 – 4) are available in specialized institutions in Qatar. Job opportunities and demand for babysitters, nannies, childcare assistants and au pair in Qatar should remain strong. Many families (Arab and Non-Arab) want to hire a babysitter on a part-time or full-time basis because early childhood education is recognized as very important for a child’s development. Babysitter jobs are mainly concentrated in Doha and its districts. Many babysitters work full-time, but irregular hours and part-time work are common in Qatar. They may work unusual hours to fit parents' work schedules. Babysitter’s duties vary and depends on their agreement with the child’s parents. Families in Qatar prefer middle aged nannies with a good level of Arabic or English speaking, driver’s license and ability to teach children or help them with homework. Qatar is a country located in Western Asia, on the coast of the Arabian Peninsula. Job opportunities in Qatar are among the most attractive in the world. Qatar is an Arab country, but non-Arab foreigners make up the majority of Qatar’s population – 2,3 million. An official language in Qatar is Arab language, but English is widely used as a second language. Qatar is one of the richest economies in the world. It is officially country with the highest per capita income in the world. High monthly income for more and more families in Qatar led to a growing demand for babysitters. Foreign families dominate in babysitting jobs demand in Qatar. In this country, childcare workers typically work in private households or in their own home. Job listings for childcare jobs can be found in local newspapers and magazines, employment agencies or job portals. An online profile at some of the employment networks or job portals is one of the most important steps for any foreign babysitter searching for a childcare job in Qatar. Online profile should be as professional as resumes for any other job, even though you may be applying to work for a family instead of a corporation. 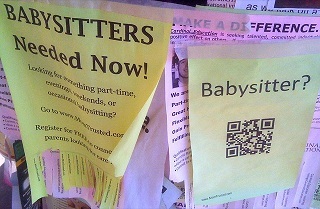 Families who want to hire a babysitter or nanny often use these websites in their search candidates. 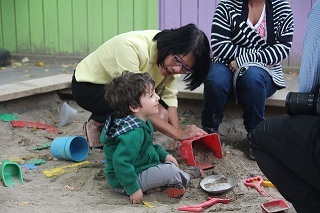 Some of the most important skills for child care workers are: communication skills, educational skills, interpersonal skills, patience and decision making skills.